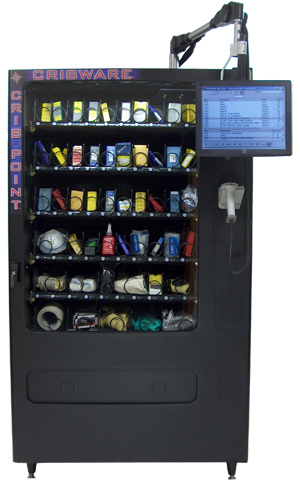 CRIBWARE® CRIBPOINT lockers are one of several dispensing solutions available for CRIBPOINT Vending. Many items do not fit size-wise, are fragile or do not dispense well from a vending machine Lockers are a solution. The CRIBPOINT Locker come in several sizes and are an auxiliary to a CRIBPOINT Vending machine. Each locker has a clear front door, lighted interior and a LED light to identify the selected door.